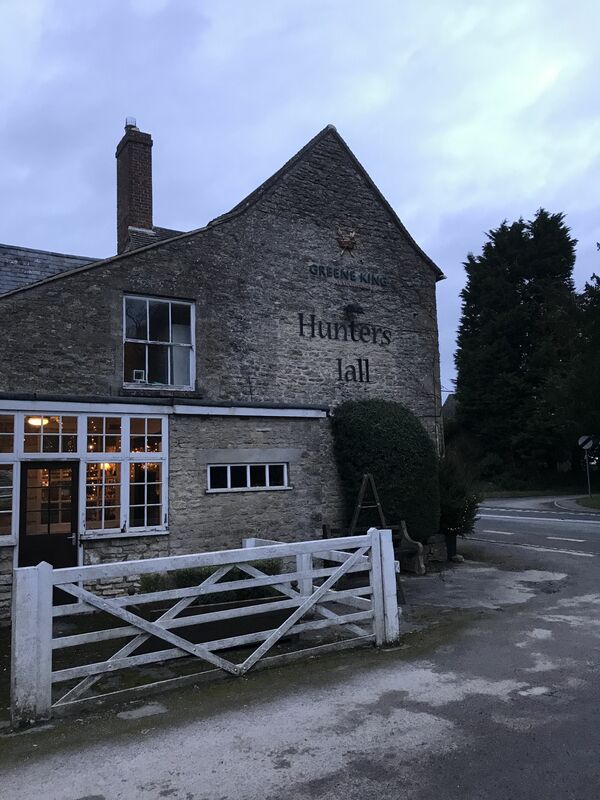 The Husband and I have long used Old English Inns for accommodation in various locations around the South of England but Hunter’s Hall in Kingscote, a few short miles from Tetbury in Gloucestershire is our favourite. 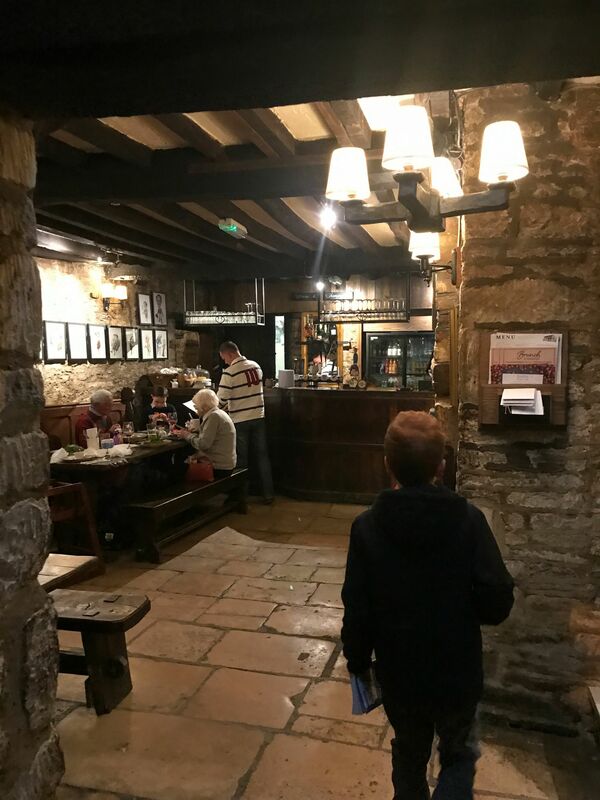 Old English Inns is a collection of English historic pubs, inns and hotels – the kind of place where you’ll find ‘cosy bars, crooked walls and low beams’. Spread across 24 counties they have old coaching inns, attractive townhouses, thatched and timbered buildings. The company offers very reasonable rates for its accommodation which, though functional is perfectly adequate. You are paying for time spent in pretty unique properties many of which have their own individual quirks but that is part of the charm. 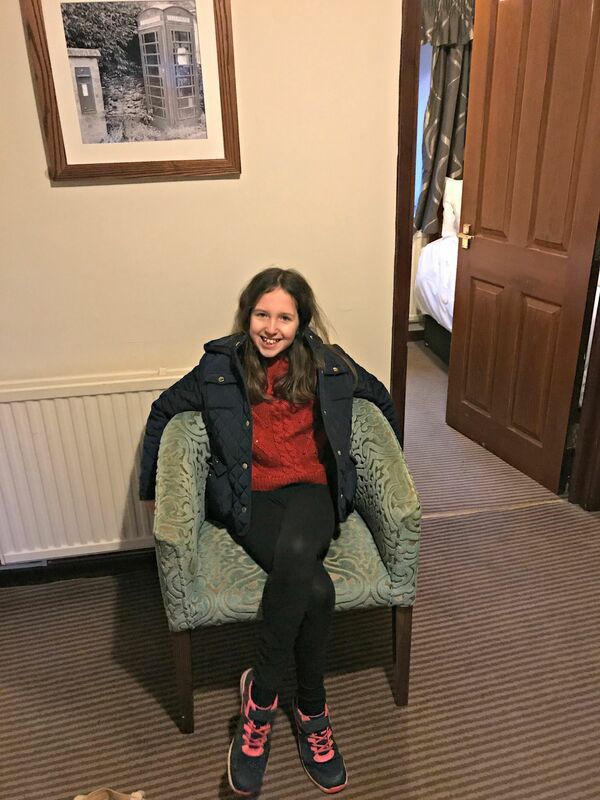 For our recent trip to Enchanted Christmas at Westonbirt Arboretum, we booked the family room at Hunter’s Hall Inn again. 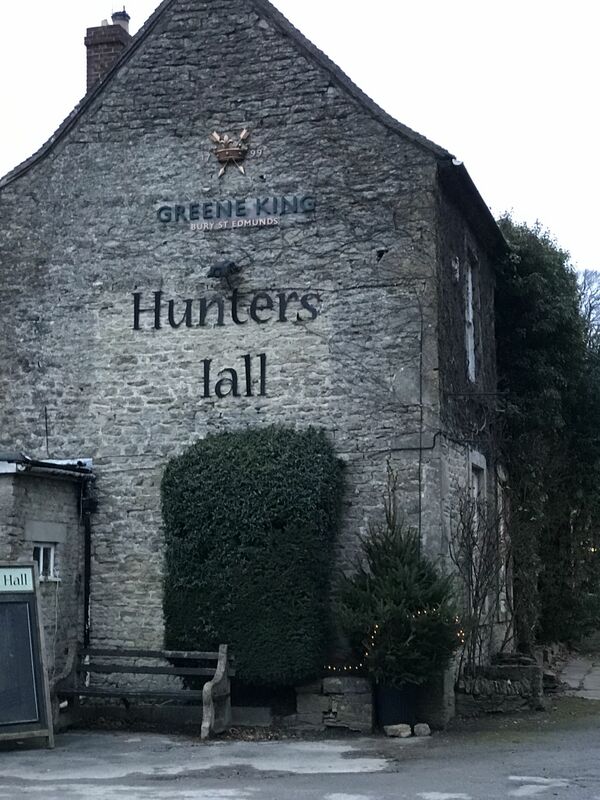 Hunter’s Hall Inn is a 16th-century coaching inn with 13 bedrooms (8 double, 4 twin and 1 family room). The hotel offers free Wi-fi, free parking and meeting facilities for up to 35 people. There are disabled facilities and bedrooms, but you need to ask about these when you book. There are also some dog-friendly bedrooms. The rooms are separate from the main pub/restaurant building in a block a short walking distance away. Hunter’s Hall has a large free car park on its grounds conveniently situated for carting luggage to your room. 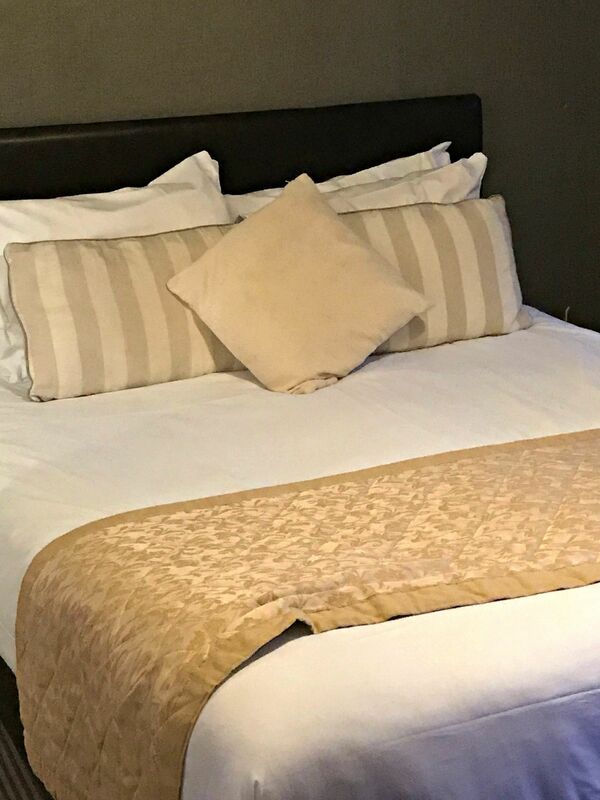 The family room (number 9) is a mini suite comprising a double and a twin bedded room separated by a small living area and its own hall and front door. 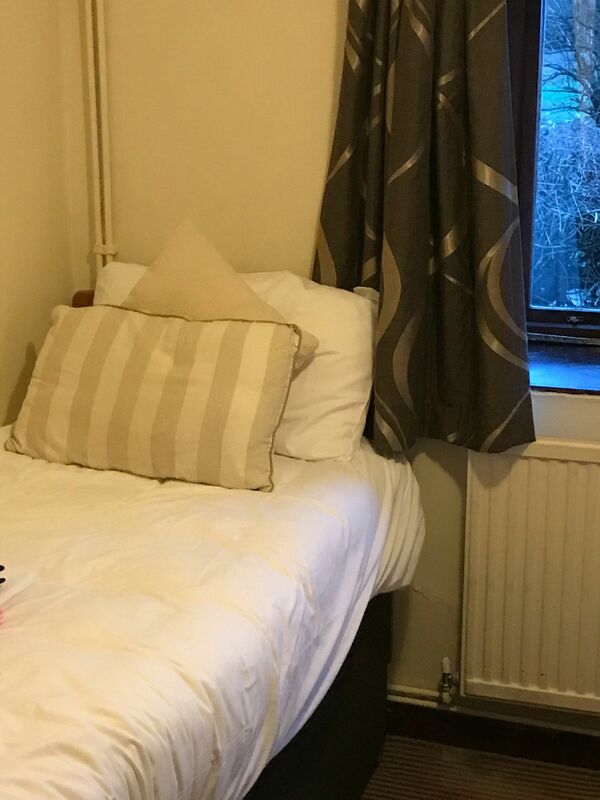 There is one ensuite bathroom and toilet adjacent to the double bedroom which does mean that kids will have to troop through to reach it in the night. We found everything to be clean if in need of a little renovation. 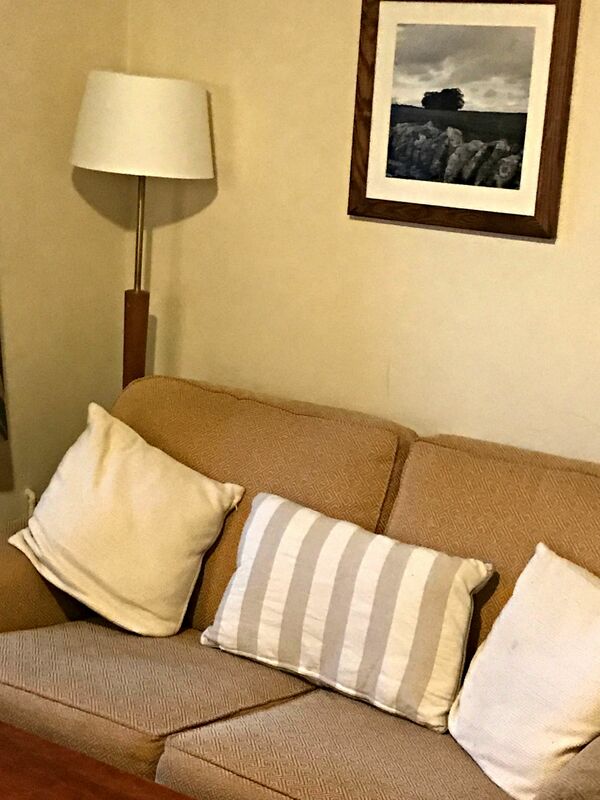 One of the bedside lamps didn’t work and the sofa in the living area, though comfortable, could do with reupholstering. Tea, coffee and artificial milk are supplied together with biscuits, however, there was no bottled water or other drinks suitable for the kids. Luckily we always take our own supplies – tea bags, coffee, squash and extra loo rolls! The room is very quiet and was even more so this time since that Saturday night saw a heavy snowfall across the UK. 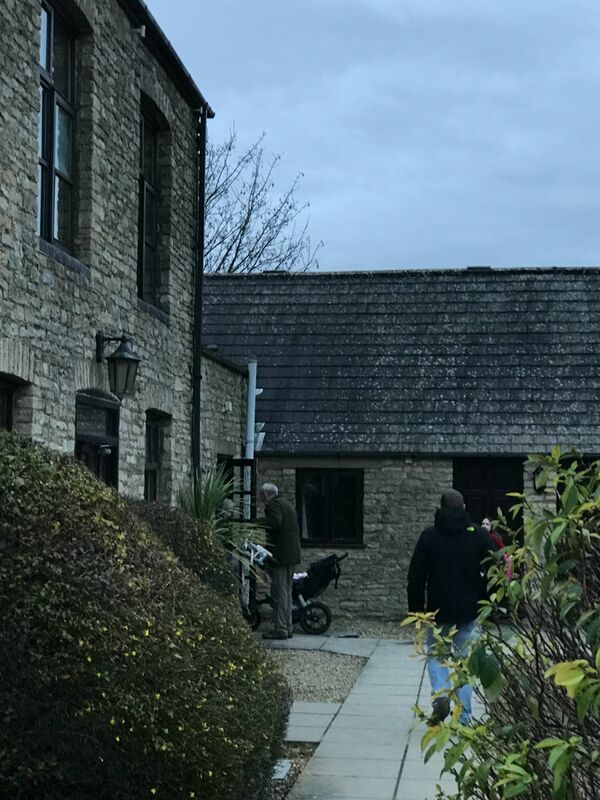 The Cotswold village of Kingscote is about 90 minutes away from Cardiff and we checked in around 4 pm ready for our trip to Westonbirt Arboretum 7 miles up the road. You can check in up to 11 pm which is great if you are delayed by traffic. 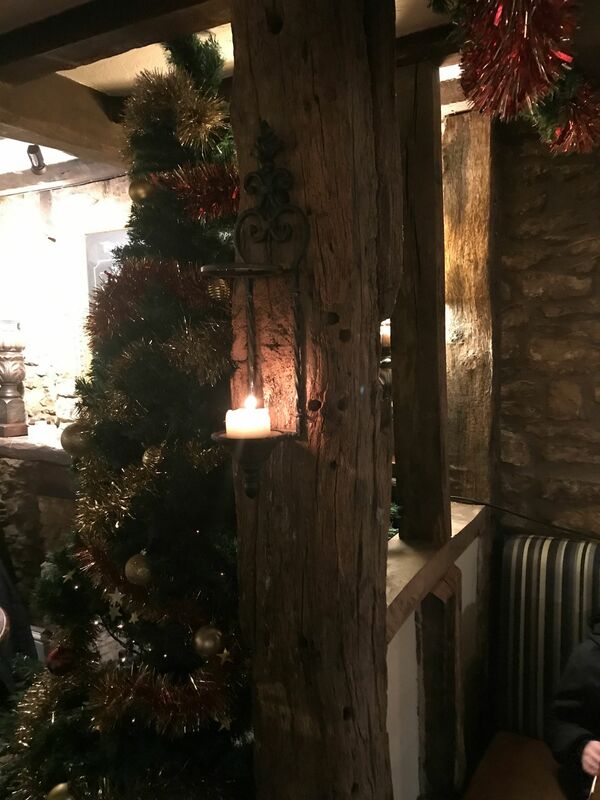 It being a Saturday night we had booked a table in the pub restaurant where the log fire was already roaring and the whole building looked wonderfully festive. Food at Hunter’s Hall is tasty and good value for money and is served from 11 am till 10 pm every day. You can either sit in the bar area or in the main restaurant where we were – and where breakfast is served. We were cold and hungry on our return from Westonbirt and went straight to our table. The main menu contains a good selection of popular favourites such as steaks, surf ‘n’turf, slow-cooked pork belly and a seafood grill. As it was late, Mat opted for fish and chips whilst I had the Hunter’s Chicken. Both were perfectly adequate and very welcome after the chill of Westonbirt Arboretum. 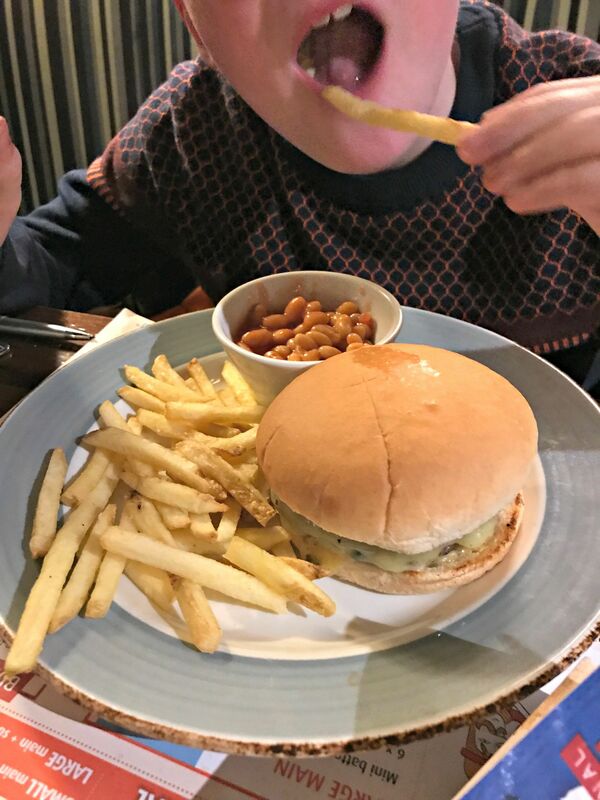 The kids’ menu offers a great variety and even states that breastfeeding mums are welcome – which was nice to see. 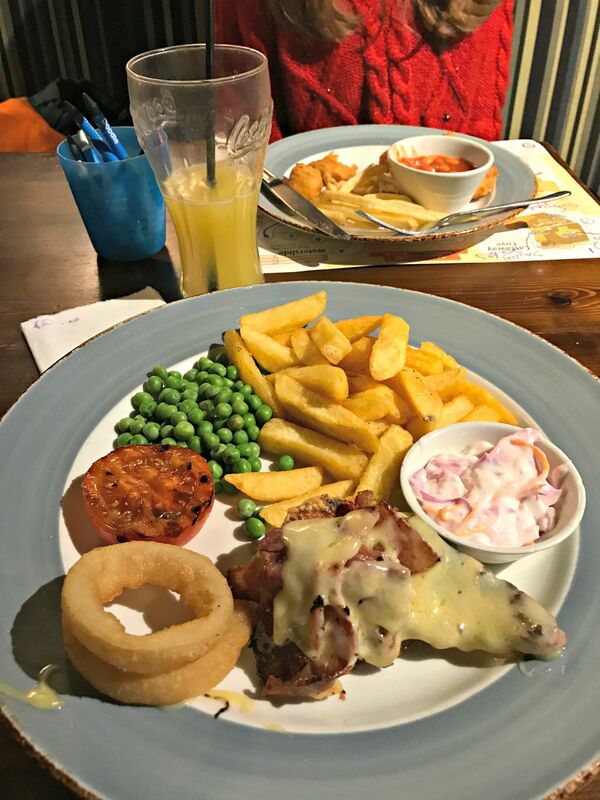 It’s a pick and mix menu at £5.49 for a small main, a veggie side, a ‘sunny side’, drink and dessert, with the larger main meal deal being £5.99. The sunny sides are basically the carbs – mash, chips, rice, garlic bread etc. There is a good veggie choice including seasonal vegetables or even mini corn on the cob. Caitlin had the chicken nuggets whilst Ieuan chose the burger, both of which came piping hot with plenty of chips. It was ice cream all round afterwards as usual. 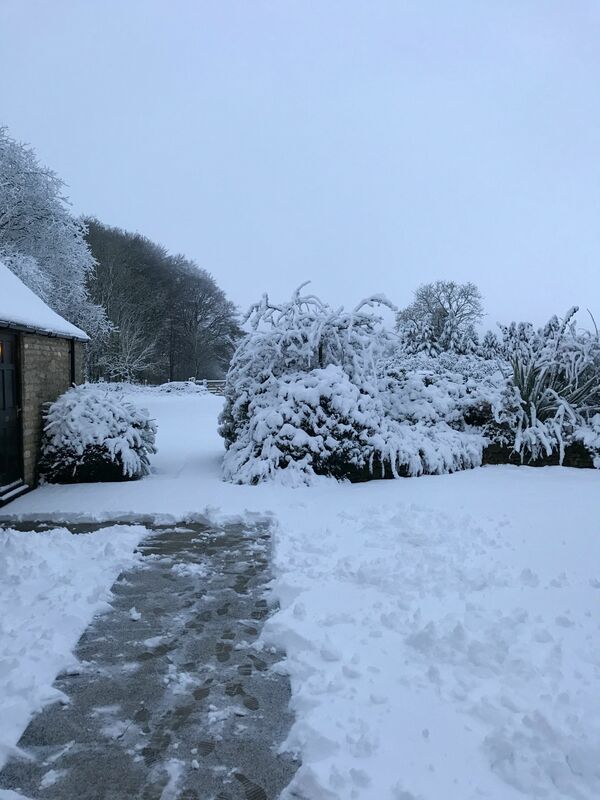 As it was quite late for the kids we retreated to our room for the night mindful of the fact that heavy snow was predicted for the UK. We spent a comfortable night. The room was nice and warm and the beds were comfortable, although the mattresses in the twin room were rather hard. Caitlin appeared at 7:30 am beside herself with excitement due to the blanket of snow outside. 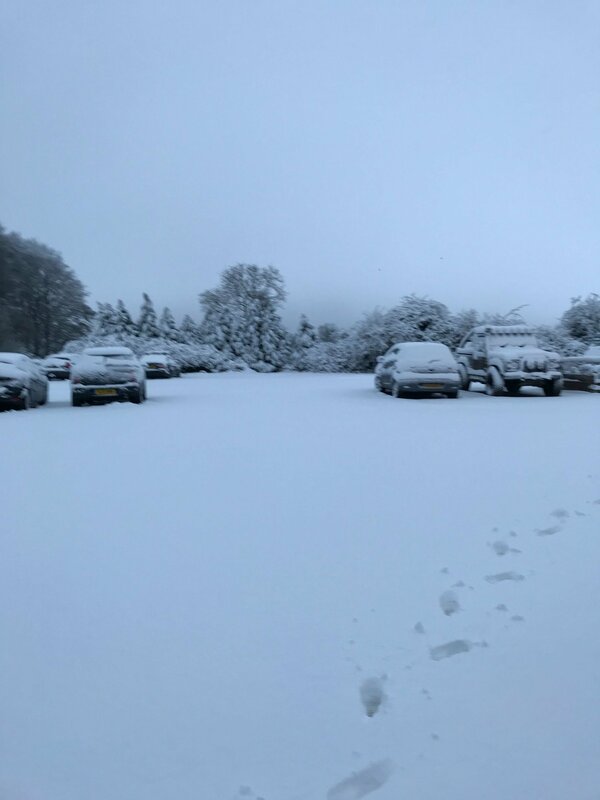 Everything outside looked magical – although we were a bit worried about getting the car out of the car park. We hastened out to the main pub building in the hopes of a full English breakfast to warm us up but unfortunately, there was no gas. One of the hazards of staying in centuries’ old inns! There was, however, plenty of fruit, yoghurt, toast, cereal and tea and coffee to keep us going and the staff couldn’t have been more helpful. Our room was £130 for the night including breakfast whilst our evening meal including desserts and drinks came to just over £60. 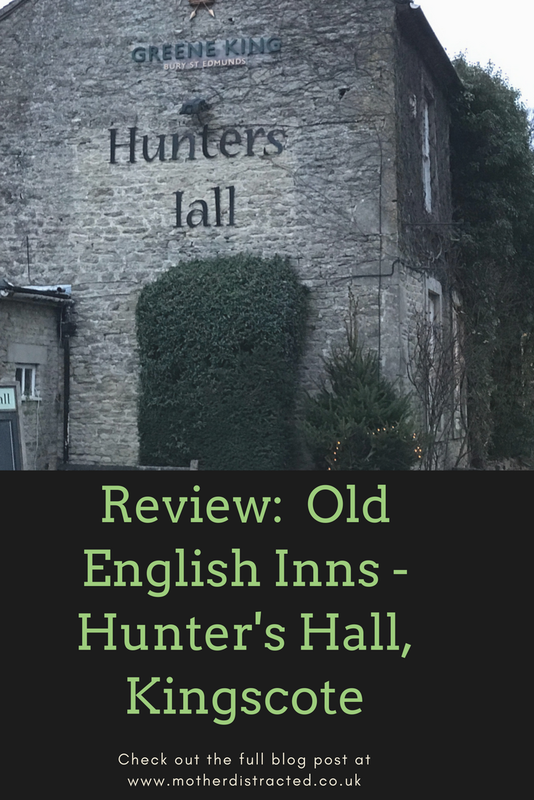 We think this is good value for money and whilst the room lacked one or two touches, the pub and restaurant more than made up for this. 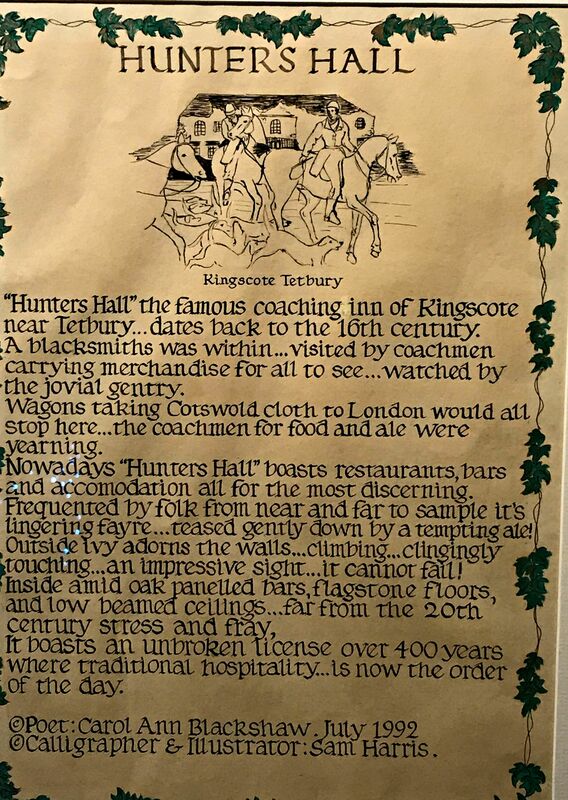 We will certainly be going back to Hunter’s Hall in Kingscote! You can book online or telephone 0845 6086040. 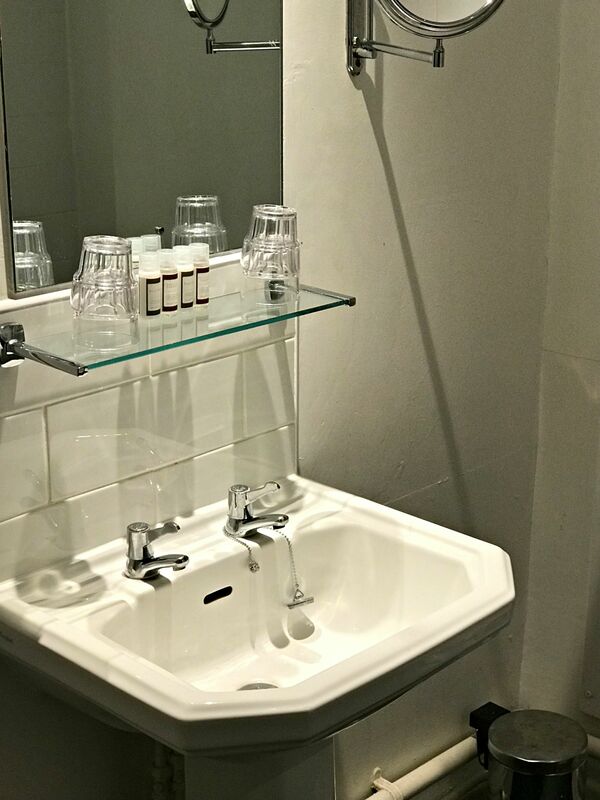 "Review: Anthony James Of London Ladies Belgravia Watch"
What a super place to stay! I love old places like this – so much history! 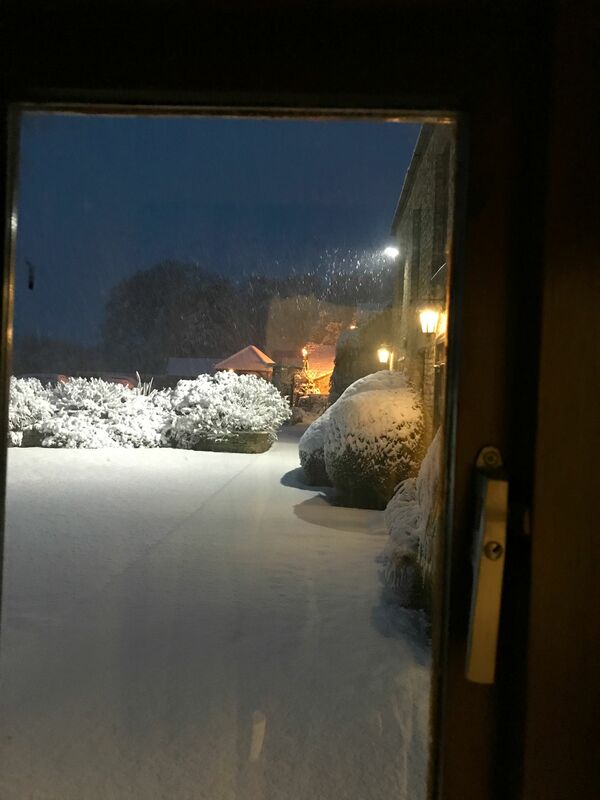 What a lovely old hotel, and the snow looks so great too – perfect time for your stay! Very nice place to visit and nice to see lots of Veggie items too , will make sure when around that area to visit. This looks lush! 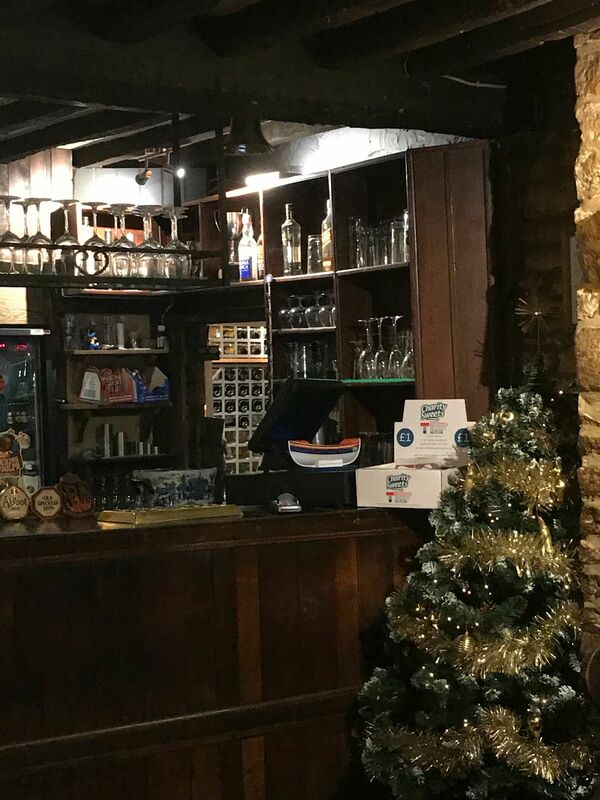 We get married in Tetbury next year, I’ve never even spotted this pub before…It looks perfect!!! Honestly I think I could look over a few of the room issues just for the look of the building how absolutely amazing is that, there is something about old buildings that just draws me in. Ohhh this looks amazingly cosy and very English especially with the snow. Loving their food there as well. Hope you and your family had a lovely time there. This is my mind of pub! I love the old buildings and traditional interiors and prefer to visit this type. 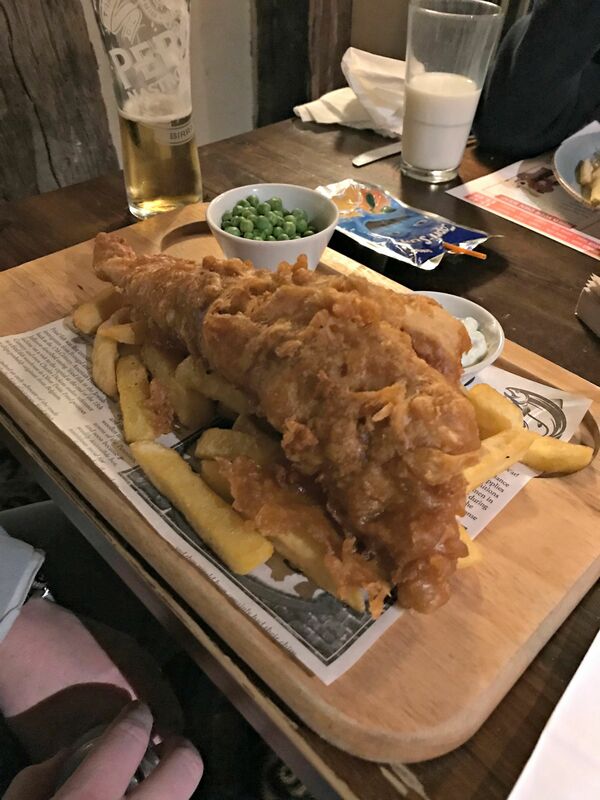 Hunters Hall looks fantastic and that plate of fish and chips….WOW!!! 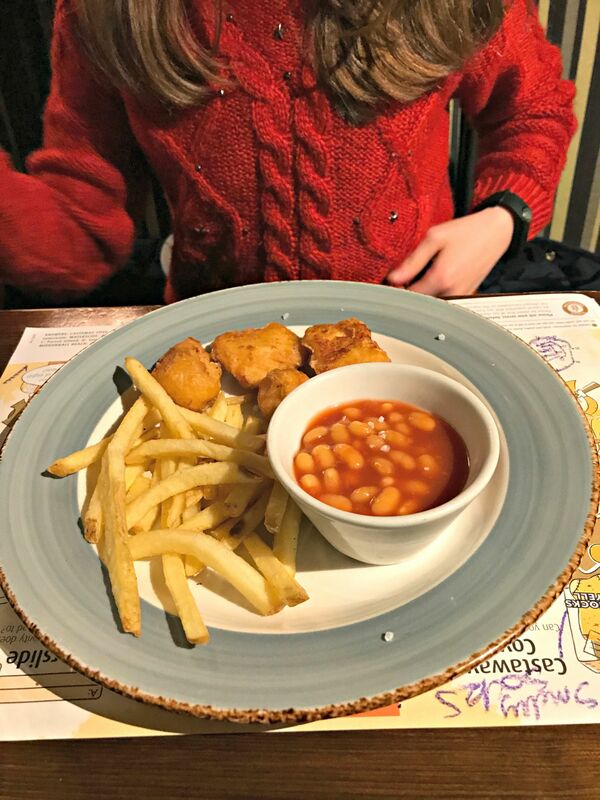 Chicken nuggets, chips and beans actually looks pretty ideal for a cold wintery day hahaha – that’s what caught my eye! 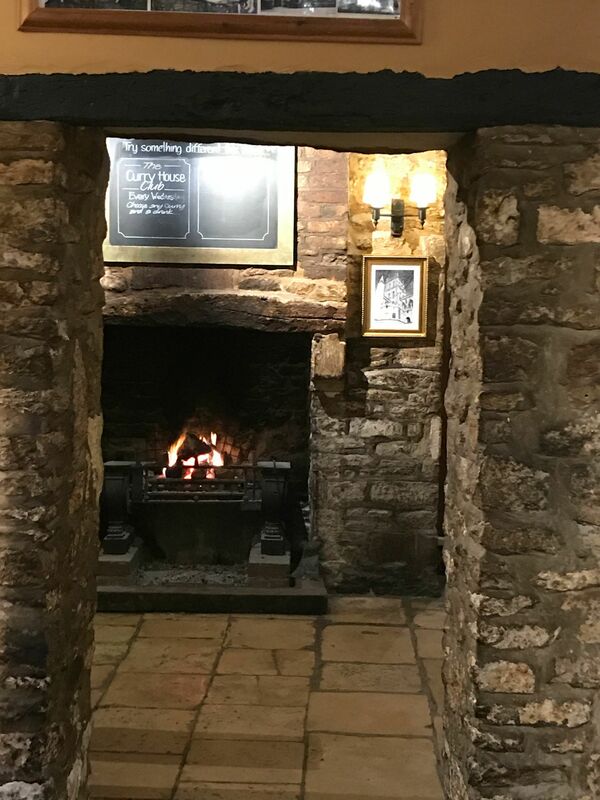 What a lovely cosy place to stay on a cold, winters day. I bet the fish and chips really warmed you up! 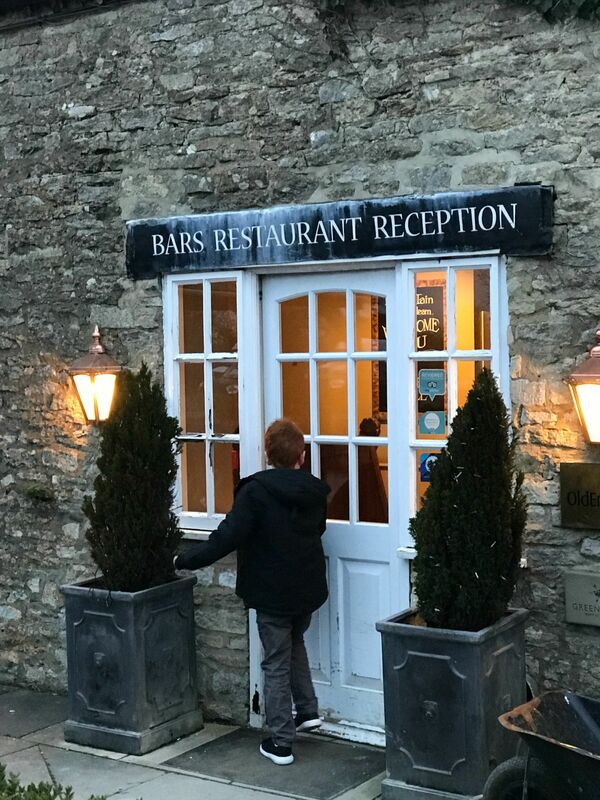 I love staying in places like this and the food looks right up my street! This looks like such a lovely little place to stay – a real change from the modern hotels that we frequent. 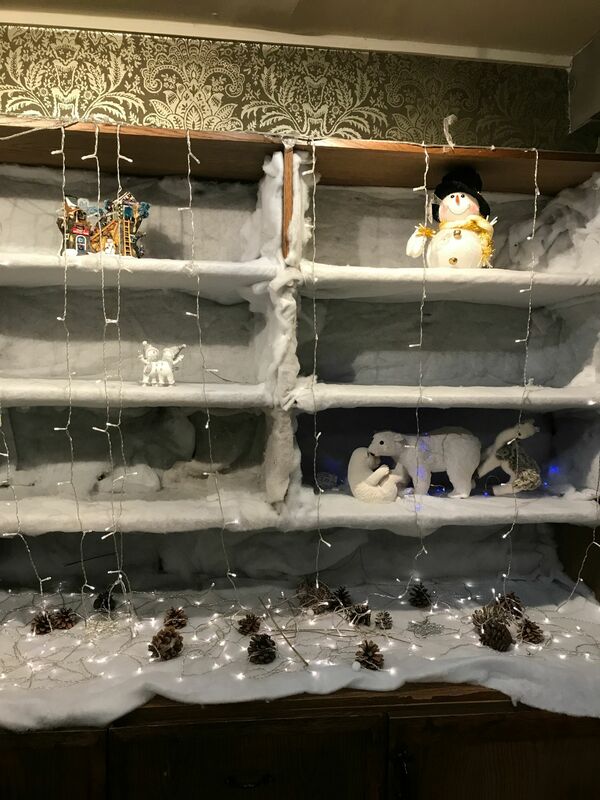 I know my children would love something like this – and they would have been delighted with the snow! I love the old stonework – pretty awesome. I think they need a new H though! This place looks like it has so much character and it seems so unique and different from the typical premier inn style interiors most places adopt these days. Hunters Hall looks so lovely , I adore the decor , the cosiness of the beamed ceilings and a countryside feel. The food looks great too and the rooms are well furnished. Great job in those awesome shots of this place. It looks lovely! What a beautiful inn! It has so much character and it looks very cosy and comfy too. Oh this is a lovely place to stay with family. It feels so warm and wonderful. This place looks lovely. A real home away from home which is what everyone wants. I love the look of this place – it looks so inviting and cosy. Definitely somewhere that I would like to stay! Lovely building and very atmospheric with the snow. Thanks for the honest review. I always appreciate a true picture. The fish and chips looked so good!